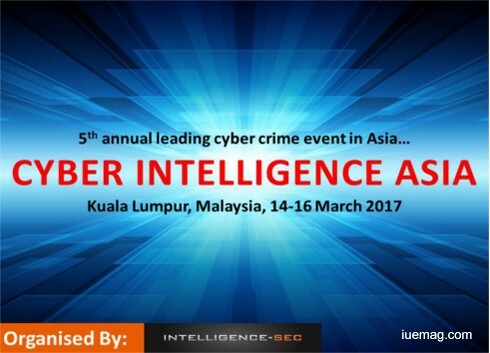 Join the Cyber Interlligence Asia 2017 on 14th March 2017 - 16th March 2017 at Kuala Lumpur, Malaysia! The 5th annual Cyber Intelligence Asia will once again bring the key officials from across Asia-Pacific to discuss the latest challenges and threats they are facing daily to their computer systems. Cyber criminals are finding new and sophisticated ways to break into government computer systems, meaning that many governments are constantly battling to stay ahead with the latest security systems. This event will provide you unrivalled access to the leading cyber security officials in the region who will be discussing the following topics; Malaysian Cyber Security Capabilities and Threats faced to their government systems, Regional cooperation between public sector agencies to combat cybercrimes, latest cyber defence systems available, internet security, cyber terrorism, cyber intelligence and regional policies and strategies used to secure critical infrastructures across the region. Cyber Intelligence Asia will allow you to hear in-depth presentations from the following nations: Malaysia, Singapore, Thailand, Philippines, Japan, Indonesia, China, Taiwan, Cambodia, Laos and many more. The iUeMagazine team is delighted to work with Cyber Intelligence Asia as Online Media Partners & is expected to bring Unlimited Inspiration for all readers from the proceedings of this event. Staying tuned to the enriching updates from this event is recommended. To be a part of the 5th annual Cyber Intelligence Asia conference and exhibition as a speaker, sponsor, exhibitor or as a delegate please contact events@intelligence-sec.com or +44 (0)1582 346 706. Any facts, figures or references stated here are made by the author & don't reflect the endorsement of iU at all times unless otherwise drafted by official staff at iU. This article was first published here on 11th February 2017.